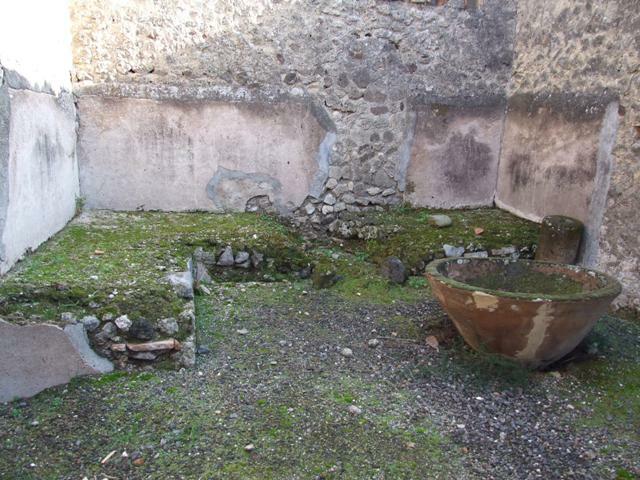 VII.11.5 Pompeii. Workshop. Officina lanifricaria. Linked to VII.11.4. Excavated 1862. 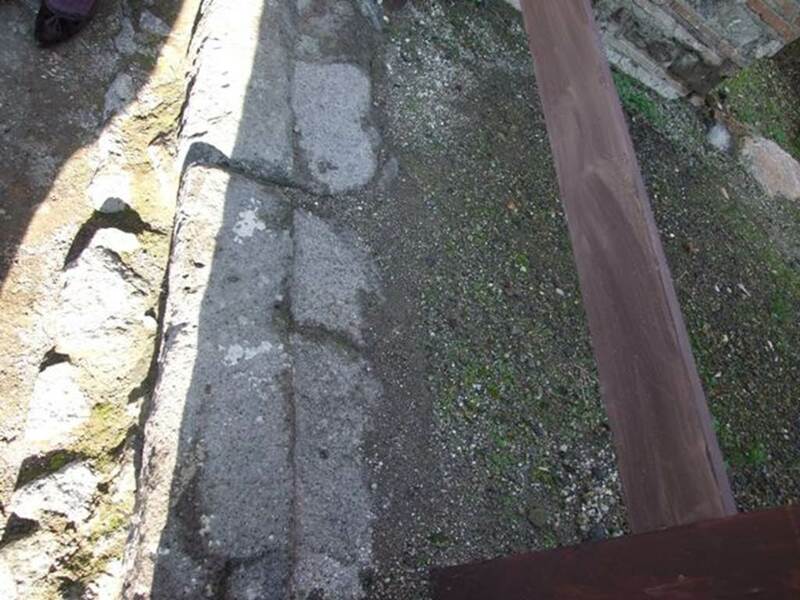 (Vico della Maschera 8). 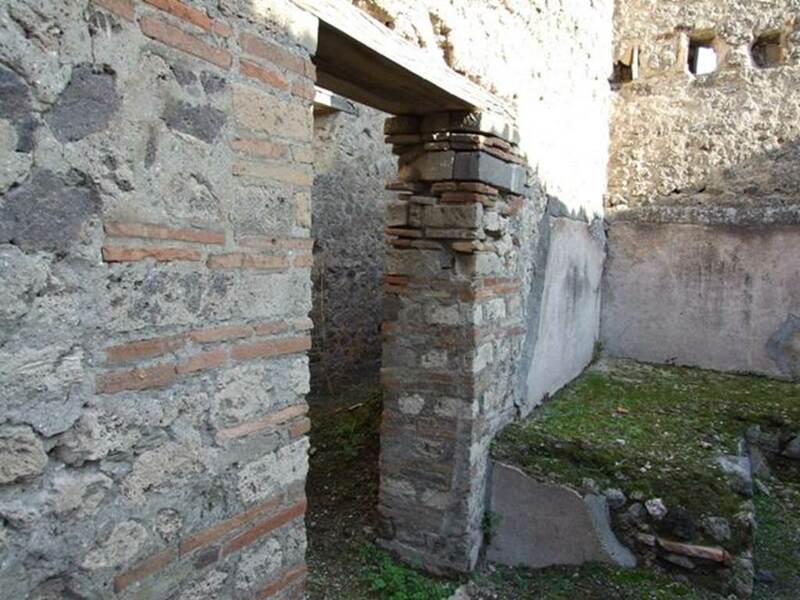 Vicolo della Maschera looking south from outside VII.11.5, Pompeii. December 2007. 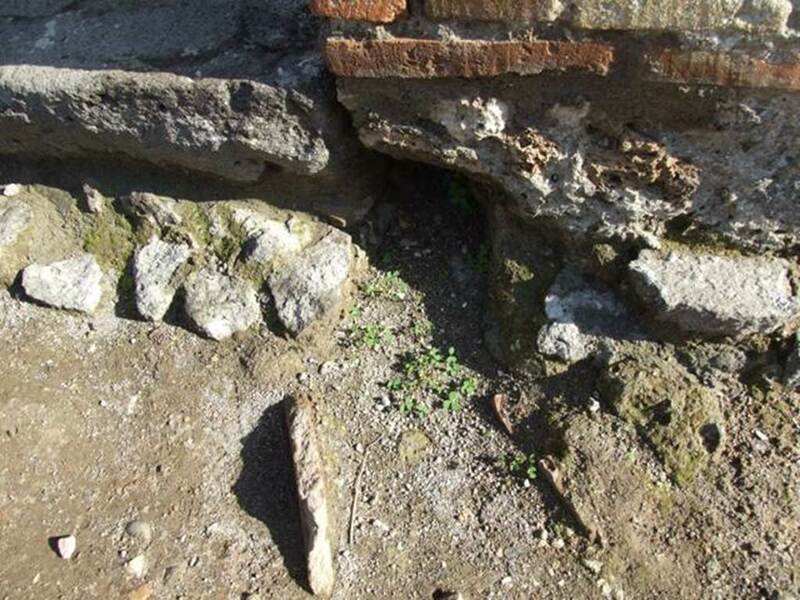 VII.11.5, VII.11.4, VII.11.3 and VII.11.2, Pompeii. December 2005. Entrances on east side of vicolo. 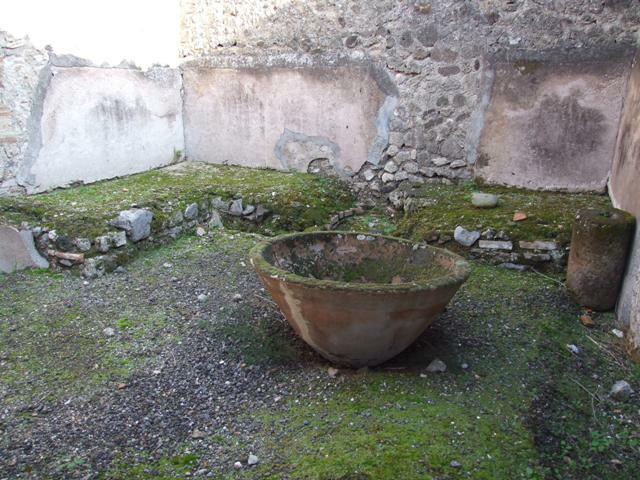 VII.11.5 Pompeii. May 2010. 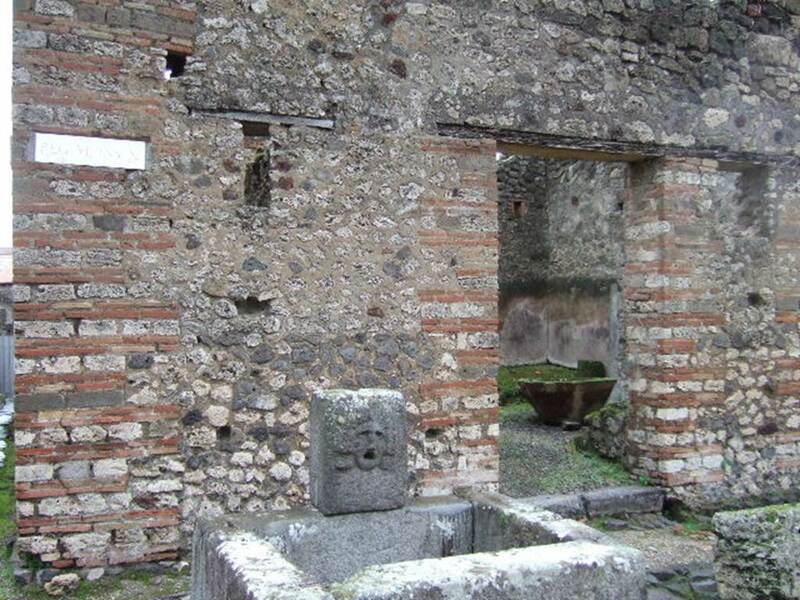 Entrance doorway and fountain on Vicolo della Maschera. 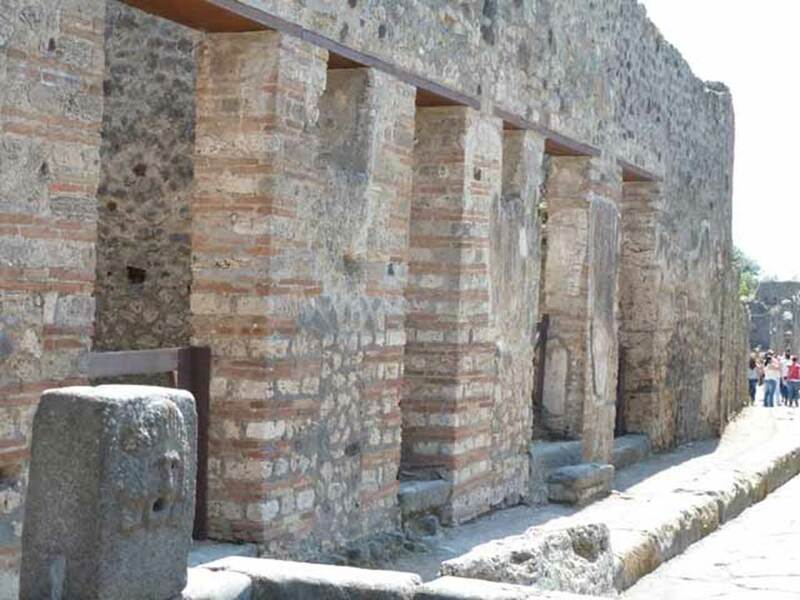 VII.11.5 Pompeii. December 2005. Entrance doorway. VII.11.5 Pompeii, 1978. Looking south-east to doorway on corner of Vicolo del Balcone Pensile (on left) and Vicolo della Maschera (on right). 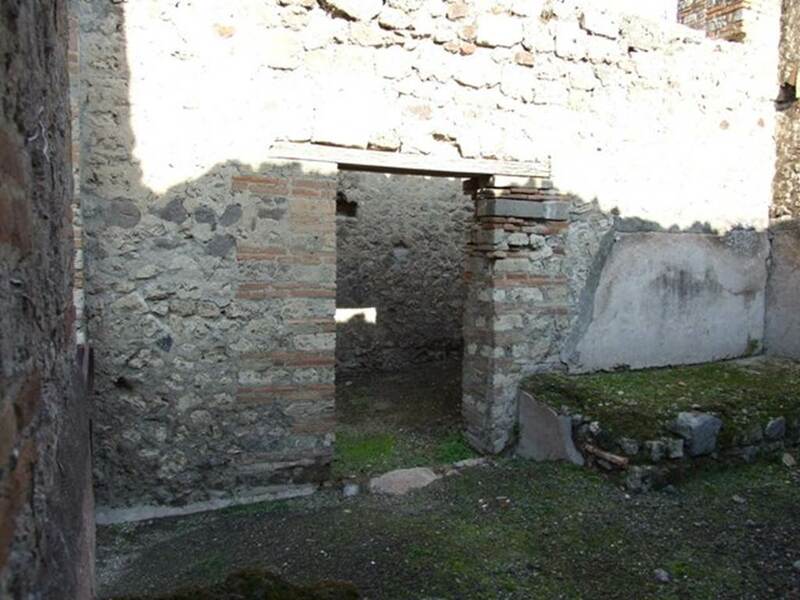 VII.11.5 Pompeii. 1972. Looking south-east through entrance doorway. Photo by Stanley A. Jashemski. 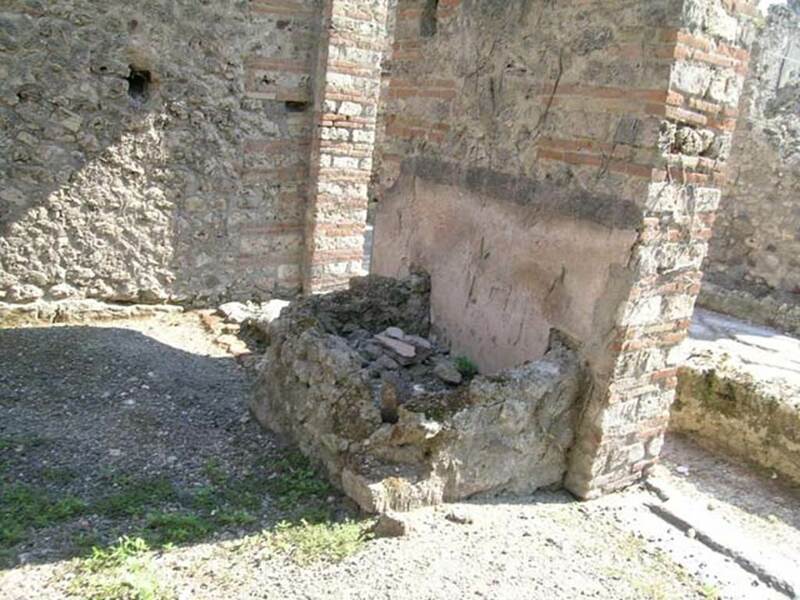 VII.11.5 Pompeii. 1966. Entrance doorway near fountain, with VII.11.4, and VII.11.3, on the right. 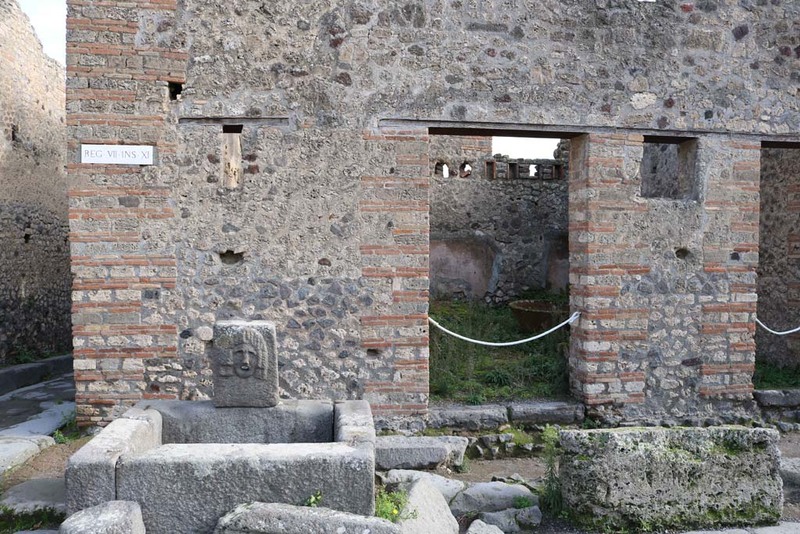 VII.11.5 Pompeii. December 2005. Entrance doorway, looking east. 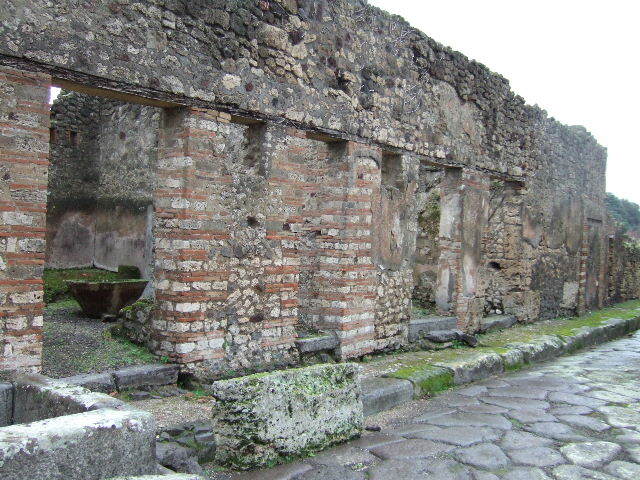 VII.11.5 Pompeii. December 2007. Entrance doorway. 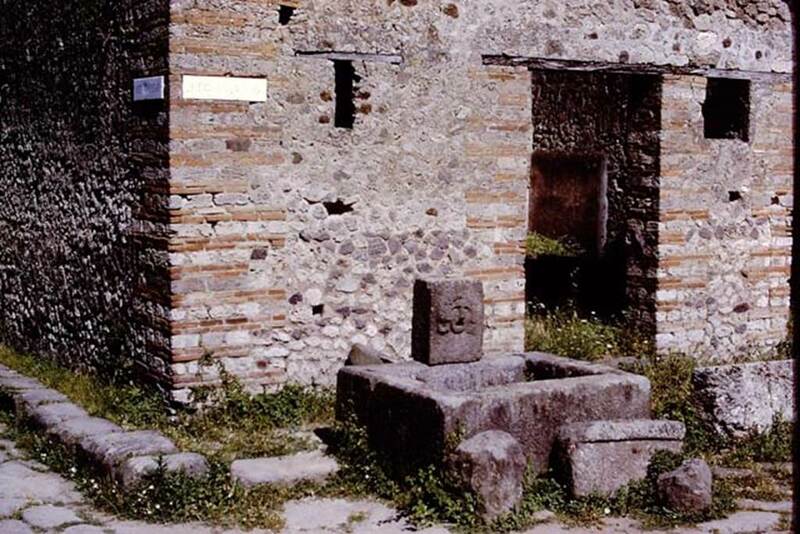 VII.11.5 Pompeii. December 2007. Entrance threshold or sill. 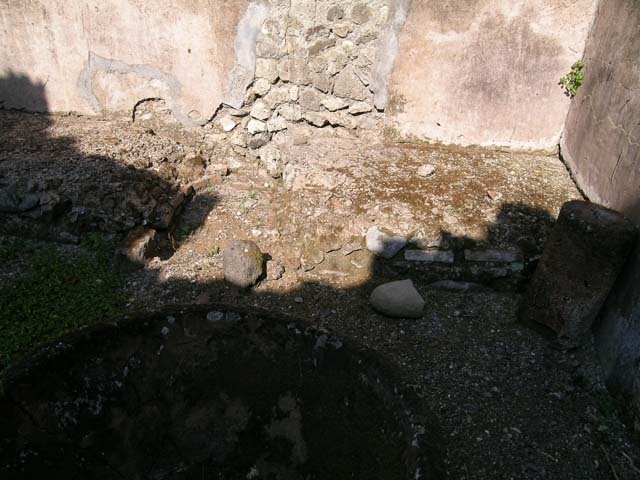 VII.11.5 Pompeii. December 2007. 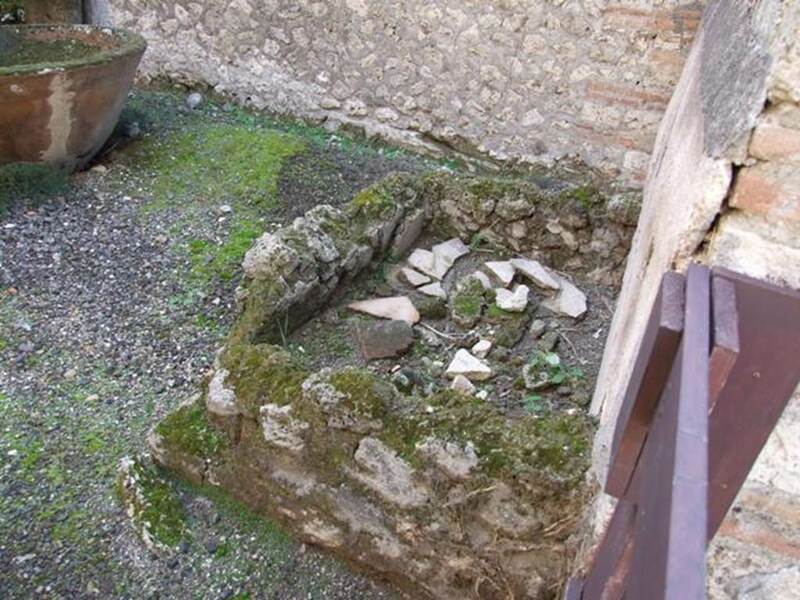 Podium with remains of hearth and large terracotta pot for washing the cloth. 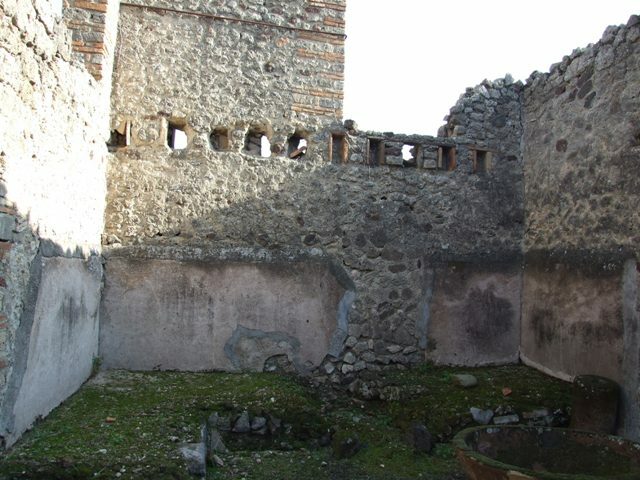 VII.11.5 Pompeii. December 2007. East wall. 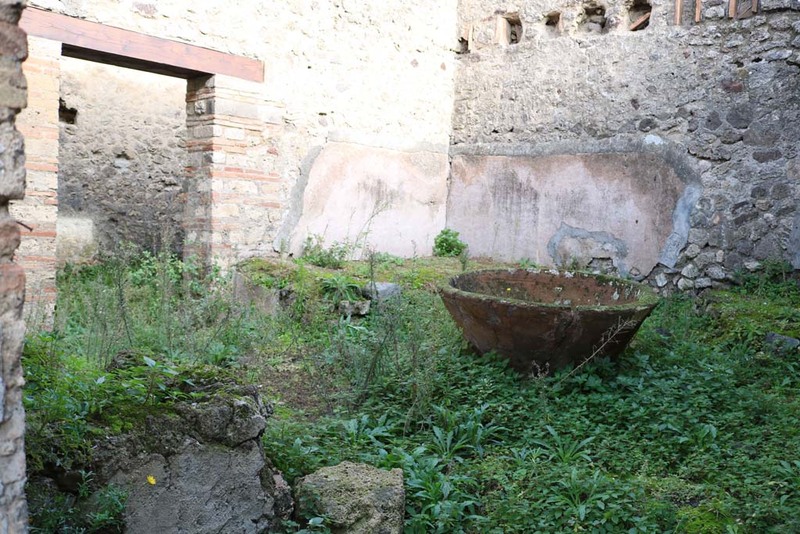 VII.11.5 Pompeii. June 2005. Feature against east wall, and large terracotta pot, in shadow at front. Photo courtesy of Nicolas Monteix. 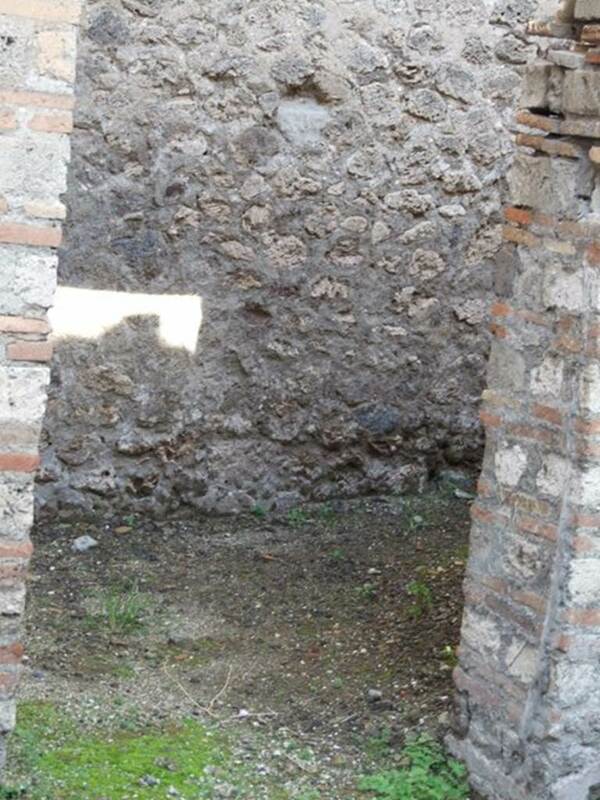 VII.11.5 Pompeii. December 2007. 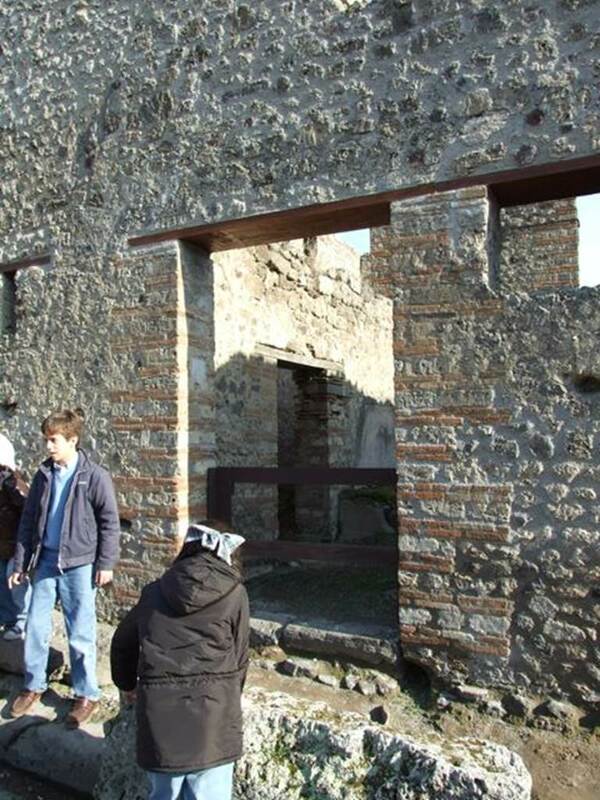 North wall with door to corridor and latrine. VII.11.5 Pompeii. December 2007. Room on north side. VII.11.5 Pompeii. December 2007. South wall. VII.11.5 Pompeii. December 2007. 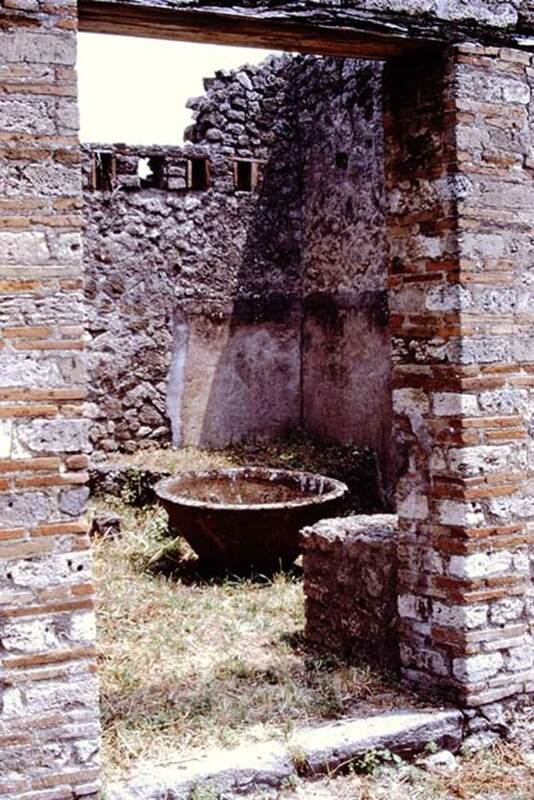 Remains of wash basin in south-west corner. VII.11.5 Pompeii. June 2005. 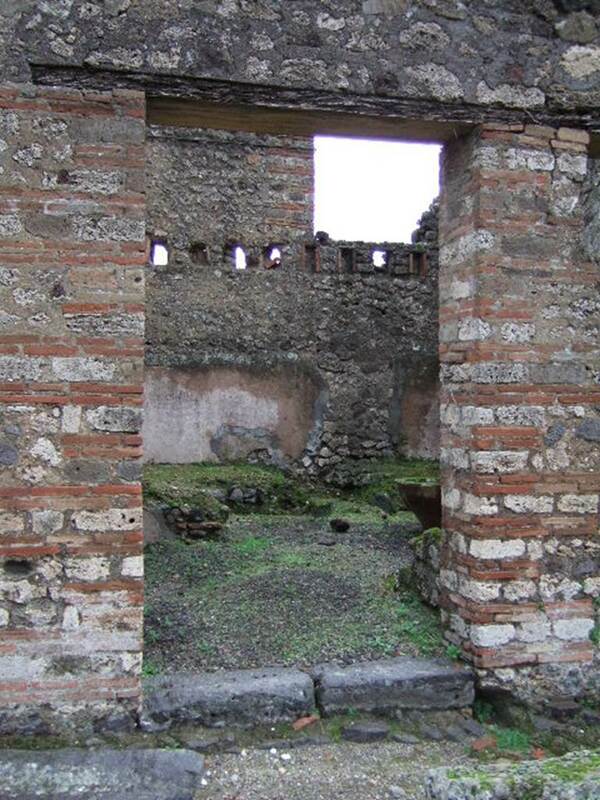 Remains of wash-basin between doorways of VII.11.4 and VII.11.5. Photo courtesy of Nicolas Monteix. 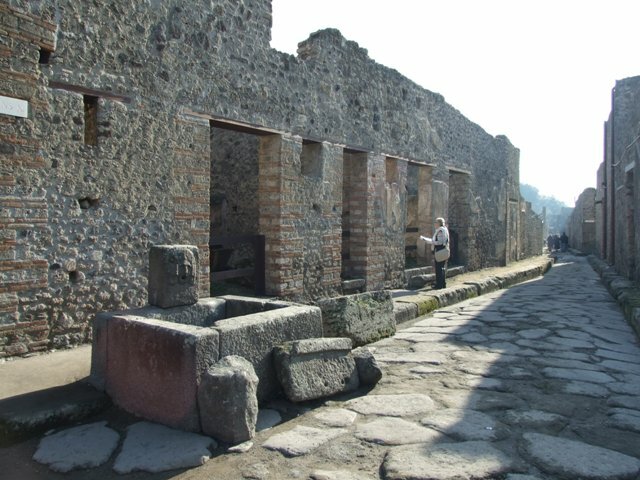 VII.11.5 Pompeii. December 2007. 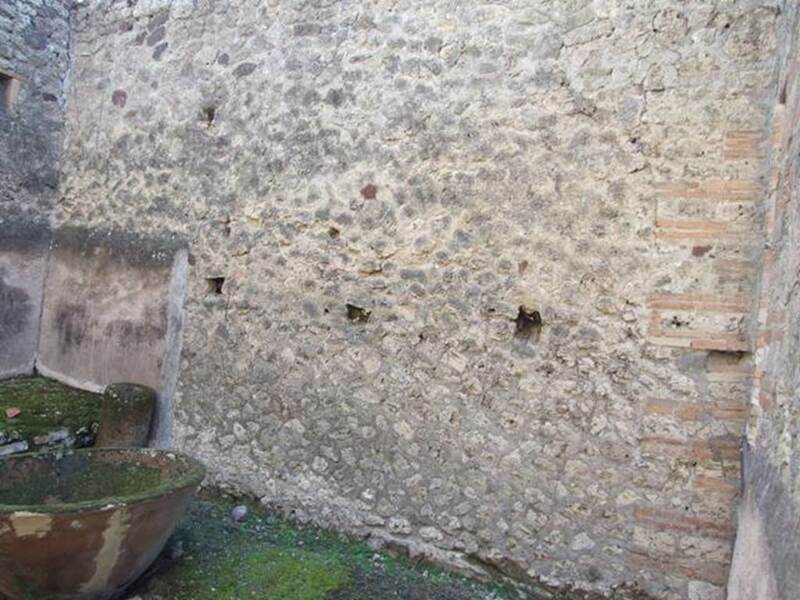 Drain on south side of entrance in Vicolo della Maschera.